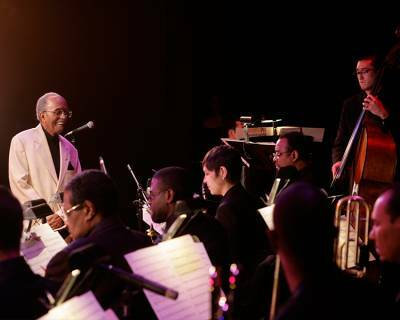 This concert is the title of QJO's Music Director Jimmy Heath’s latest big band album “It Aint Over Yet”, a testimony to his life and long legacy of great music. The compositions are all arranged by Jimmy Heath for this 17-piece big band and will span the corridors of his musical and creative imagination. This is Jimmy Heath's way to say to the world that he is still a vibrant musical force because “It Ain’t Over Yet”.